New Caledonian crows are famous for their ability to use tools intelligently. In the wild, they can use their bills to whittle twigs into hooks and to shape leaves for getting food. Several years ago, one New Caledonian crow surprised scientists by fashioning a hook from a straight wire and using it to lift a small container of food from the bottom of a plastic tube. 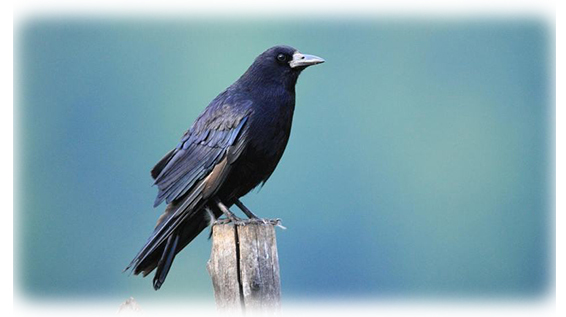 Recently, scientists were surprised again by the New Caledonian crows’ high-level reasoning abilities. When some crows were tested to see if they could use one tool to retrieve another before reaching food, they successfully solved the problem in the first try. This result told scientists that the birds were using reasoning abilities at a level commonly seen only in humans or possibly in great apes. Our bright little animal friends impress us again and again! We thank God for coloring our world with their wondrous presence.